July 8, 2010 - The Federal Aviation Administration is proposing a $168,000 civil penalty against D & M Custom Injection Molding Corp. of Burlington, Ill., doing business as D & M Plastics, for alleged violations of Department of Transportation hazardous materials regulations. D & M offered a five-piece shipment of approximately 2,000 Runyan Rapp E-Mysticks smokeless cigarettes to Federal Express for transportation by air from Indianapolis to Minneapolis-St. Paul, Aug. 14, 2009. Each smokeless cigarette contained alcohol, a flammable liquid, and a lithium battery, a hazardous material. Each box contained 400 E-Mysticks, including 7.6 kilograms of lithium batteries, exceeding the five-kilogram limit for shipment aboard passenger aircraft. Because the shipment was not packaged in accordance with regulations it was forbidden on all aircraft, including all-cargo flights. As the flight approached Minneapolis-St. Paul International Airport, the FedEx flight crew received a fire warning on the instrument panel. The crew discharged the fire suppression system during the landing and taxied to the gate. The airport fire department responded and extinguished a fire in an LD3 cargo container. The fire was started by the lithium batteries in the shipment. 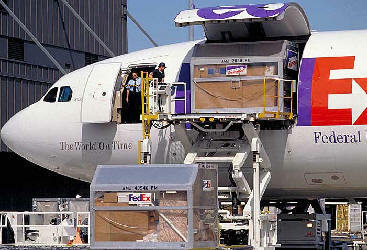 D & M offered the shipment for transportation by air when it was not packaged, marked, classed, described, labeled or in condition for shipment as required by regulations. D&M has 30 days from receipt of the FAA letter to respond to the agency.